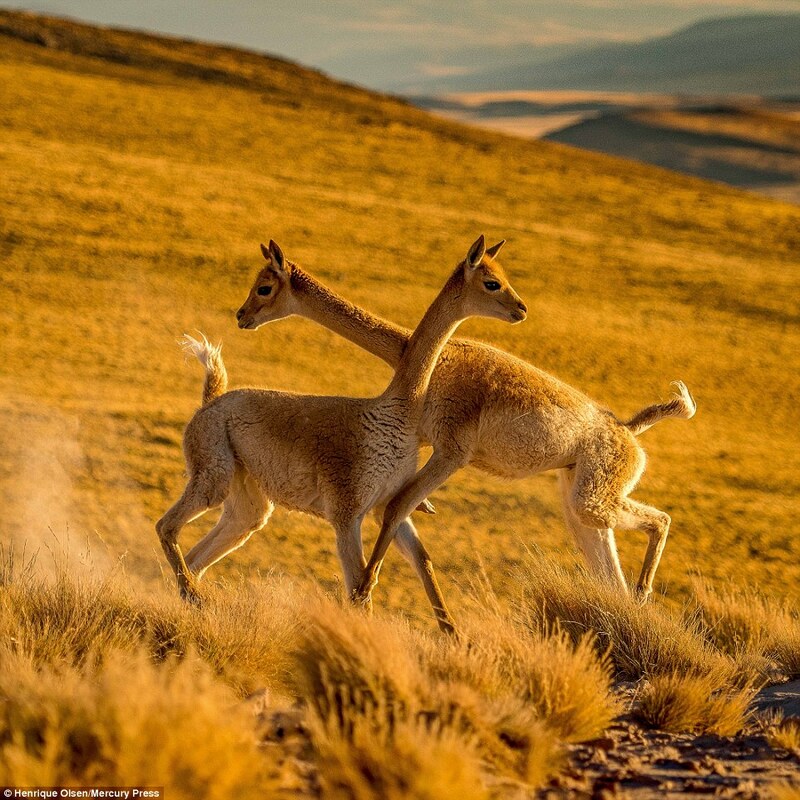 This is the stunning moment a pair of vicunas appear to hug as they smash into one another in a violent turf war in the remote Atacama Desert. 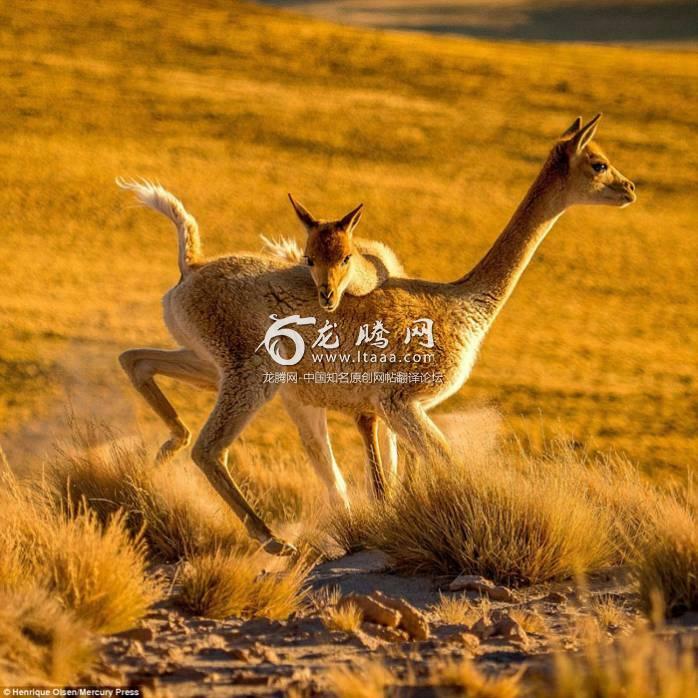 The feisty animals which are distant relatives of llamas can be see scrapping and biting at one another as they engage in the heated duel. 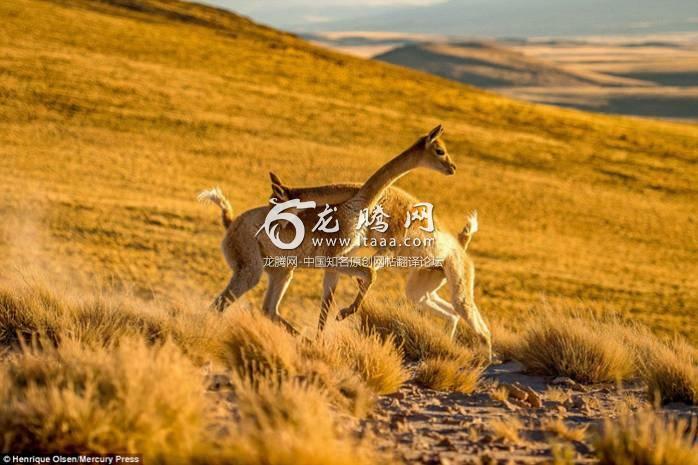 Vicuñas aren't llamas any more than sheep are goats. It is never 'cute' to see animals fight. They aren't hugging at all douches! The lack of facial expression makes this hilarious. They're as nonchalant about this fight as they would be taking a dump. 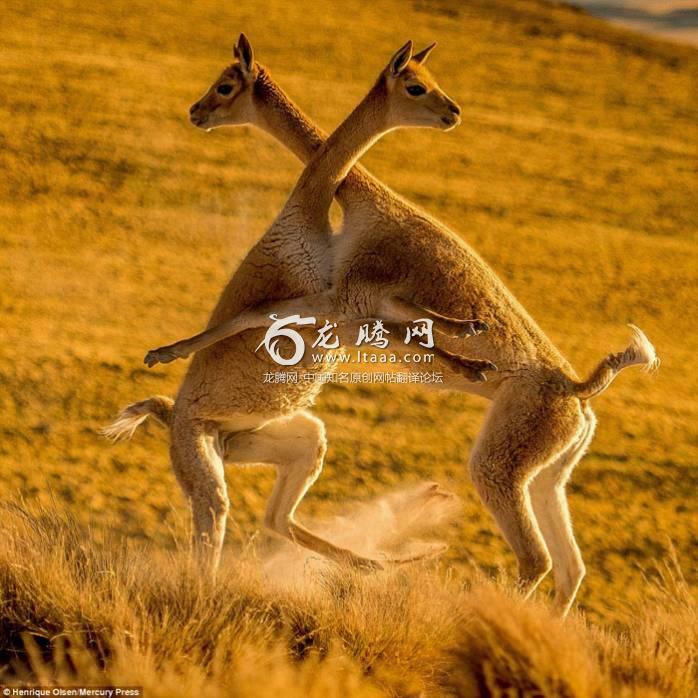 Perhaps human disputes are just as cute to more advanced observers.